What better way to start the day than with your weekly message from BDPA! Is Your Digital Tattoo Attracting or Repulsing Customers? 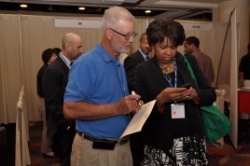 BDPA Education and Technology Foundation (BETF) spends a good deal of time talking with people about BDPA programs and services. We think that the worthiness of these programs is so self-evident that the money should be flowing in from donors to help us expand them. Of course, we've learned over time that we're just having a 'pleasant conversation' if we don't close the deal. I think that the following fundraising tip may be a helpful reminder to all of us that work with nonprofits that are doing good works. 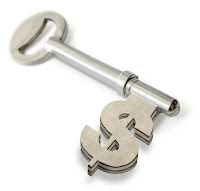 BDPA Education and Technology Foundation (BETF) spends a good deal of time writing grant proposals. Our success rate isn't very high. I think that the following fundraising tip may be helpful to us as we move forward in our grant-writing campaign. It's a fact, love them or hate them tattoos are popular and (almost) permanent. The tattoo design choice, or body art, says something about you; well actually a lot about you. It may convey your mood at a particular moment in time, it may have a deep personal meaning, you may like the artwork or some may think they're just stylish. Even though tattoos have become incredibly mainstream the kind I am talking about has nothing to do with body art. This type of tattoo is about your business or career; yes even if you have a small business, be a college student or work in corporate America. Let me ask you a simple question, what does your digital tattoo say about your business? Before you can answer that, I need to explain exactly what a Digital Tattoo is. When you think about it, you truly are an amazing being. How you think causes how you feel (emotions), which in turn urges what you do (performance), thereby creating your results and how others perceive you (impressions). It all begins with how you think. Your thoughts, about 60,000 per day, arise from what you believe and how you choose to observe and interpret the world. In effect, you keep making thoughts up and believing they are real, without realizing you are the master of how you made yourself feel and what you achieve. Each minute of every day, you have the option to think in a manner to produce joy, optimism, enthusiasm, gratitude and love, or just as easily, you can produce fear, worry, envy, doubt and anger. No one controls how you think but you, and you can produce either of these emotions at will or without regard to your actual circumstances. For example, you can cause yourself to feel upbeat during bad times, or you can allow yourself to feel beat down during good times. The biggest challenge you face every day is controlling how you think in order to self-motivate your best performance, results and impressions. So how is that working out for you? Takeaway: The IT profession and the IT job market are in the midst of seismic changes that are going to shift the focus to three types of jobs. There's a general anxiety that has settled over much of the IT profession in recent years. It's a stark contrast to the situation just over a decade ago. At the end of the 1990s, IT pros were the belles of the ball. The IT labor shortage regularly made headlines and IT pros were able to command excellent salaries by getting training and certification, job hopping, and, in many cases, being the only qualified candidate for a key position in a thinly-stretched job market. At the time, IT was held up as one of the professions of the future, where more and more of the best jobs would be migrating as computer-automated processes replaced manual ones. Unfortunately, that idea of the future has disappeared, or at least morphed into something much different. 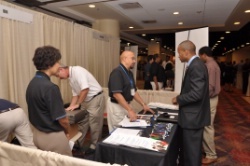 This video provides a preview of the 33rd annual BDPA Technology Conference set to take place August 3-6, 2011 in Chicago, IL. 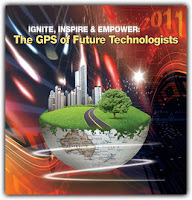 The 2011 BDPA Technology Conference begins next week. One of the people that I'm looking forward to seeing is LaShawn Sithole (owner, One In a Billion Consulting). 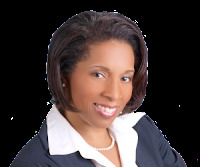 I met LaShawn a few years ago at a BDPA conference (see photo) and have followed the growth of her business interests since. In fact, my hope is that the BDPA Education and Technology Foundation will work closely the Next Young Phenom Foundation in the coming weeks and months. It is for these reasons that I'm looking forward to sitting in on LaShawn's workshop next week in Chicago. 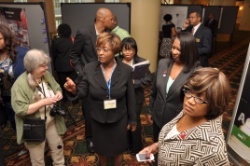 During these 90 minute sessions, BDPA conference attendees will engage in interactive sessions to promote their professional careers using social networking tools. As a result of these presentations, participants will be armed to promote themselves effectively in the marketplace and demonstrate the value of their skills. The objective of this workshop is to inspire you to embrace and effectively use Information Technology in your academic pursuits and professional career. Time: 2:15 p.m. to 3:45 p.m.
Are you taking your career in a new direction? ...or are you just entering the workforce? ...or are you undecided about your career path? Then this EXPO is for you!! Please accept our invitation to join us in the City of the Big Shoulders by registering for the 33rd Annual National BDPA Conference, August 3-6, 2011 at the Hilton Chicago. Click here to register for the 2011 National BDPA Conference today! 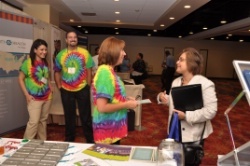 Focus: HOPE career training programs!